If you’re a Seahawks fan, your head didn’t spend much time upright on Monday. Your eyes were glued to your phone from sunup until the clock struck midnight. The stress typically associated with April 15 was secondary. There was only one real concern: Would Russell Wilson and the Seahawks work out a long-term extension? Even without the details, that was music to anyone who bleeds blue and green. But with details? It became Beethoven. Despite all the theatrics that came with this Wilson-imposed tax-day deadline, the Seahawks hammered out a reasonable contract. They locked up one of the best quarterbacks in the league for the next five years without sacrificing their ability to build around him. Yes, with his four-year, $140 million extension, Wilson will become the highest-paid player in NFL history. But given his résumé and value to his team, a higher number wouldn’t have been out of the question. The 110.9 passer rating Wilson recorded last year was the best in his already storied career. And though Seattle returned to its run-first philosophy, Wilson still tallied a career-high 35 touchdown passes. The Seahawks’ options were abundant as to how they wanted to handle their quarterback’s future. But the message Tuesday was clear: This guy is our franchise, and we’re not going to mess with that. If the Seahawks wanted to, they could have retained Wilson for a decent price over the next three years without committing to him long-term. His initial contract doesn’t expire until the end of next season, and the team could have used the franchise tag to keep him for about $30 million in 2020 and for about $36 million in 2021. Given that Wilson is a 30-year-old known for his mobility, this would have seemed like a reasonable financial tactic. But given that Wilson is also the most valuable player to ever wear a Seahawks jersey, satisfying his long-term desires seems like the smartest play. The truth is, if you have an elite quarterback, your team always has a chance in the NFL. 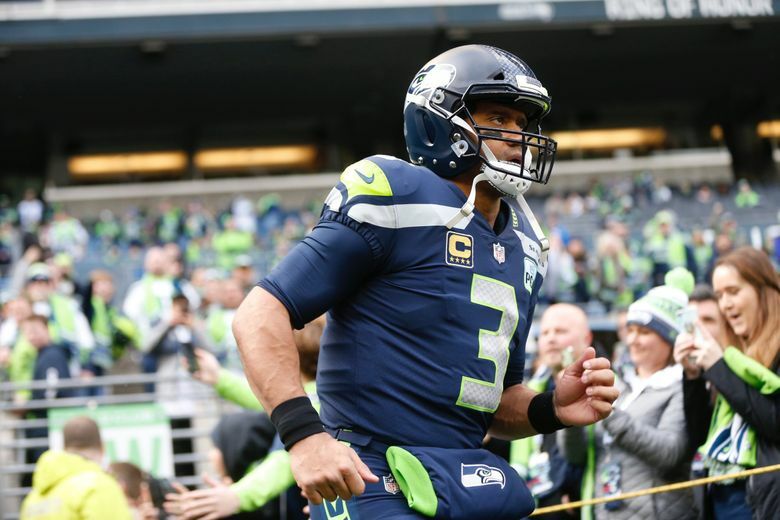 The Seahawks proved as much in 2018, when they won 10 games and made the playoffs despite almost completely overhauling their historically dominant defense. And now, barring injury, they’ll have an elite quarterback for the next five years. If you’re a fan, you take that deal every time. That doesn’t mean there isn’t doubt as to whether there’s enough money to make Seattle a consistent Super Bowl contender. As has been noted many times by now, none of the six highest-paid quarterbacks in the NFL made the playoffs last year. But that was also a statistical rarity. And though teams have won Super Bowls without a great quarterback (see: Broncos, 2015), successful franchises almost always have a marquee signal caller. Had these negotiations dragged on beyond this year, the Seahawks likely would have had to fork over a lot more dough to keep Wilson. The salary cap goes up every year, and if Chiefs quarterback Patrick Mahomes has another MVP-like season in 2019, he’ll likely sign an extension paying him more than $40 million a year. Wilson’s camp could have used that number as leverage for a bigger deal, but it never got to that point. Crazy as this may sound, Seattle got a $140 million bargain. Questions still linger as to what the Seahawks will do with other premium players. Five-time Pro Bowl linebacker Bobby Wagner is in line for an extension this offseason, and defensive end Frank Clark is lobbying for a megadeal himself. They didn’t. They couldn’t have. They kept their prized QB happy. No doubt Wilson feels good right now, but the Seahawks brass should, too.